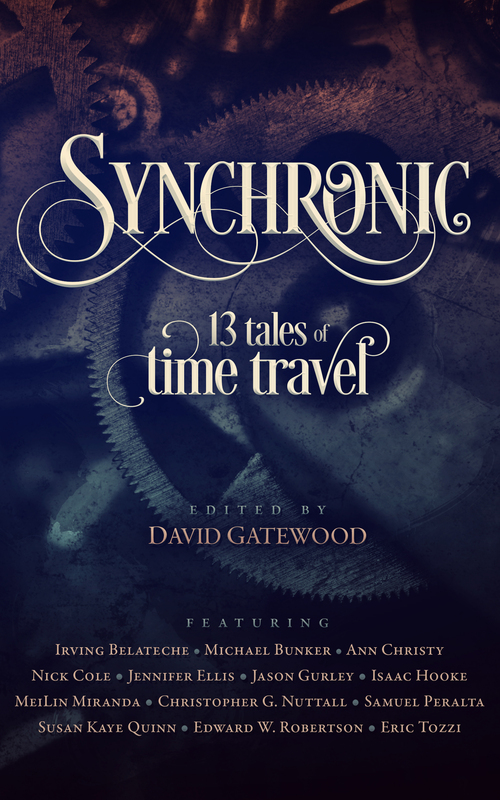 A couple of weeks ago, I was asked to review Synchronic, a collection of time travel stories by indie authors like myself (except, you know, super successful). Considering one of my favorite indie authors, Michael Bunker, was involved, I could hardly say no to an advanced copy. Bunker’s story led off the series, and it didn’t disappoint. The tale of a father and son trying to recover gold by traveling back in time, by adopting the same lifestyle of the target time frame, surrounding themselves only with items from that time and blotting out all signs of modern life, is nothing short of brilliant. The ending leaves more questions than answers. Halfway through the anthology, two other stories stood out for me. CORRECTIONS, by Susan Kaye Quinn, is a brilliant story of a psychologist for time travelers. Quinn is a rocket scientist turned writer, and since reading this we’ve had conversations about real world experience shaping writing. I think this is especially pertinent in genre fiction. Since we’re dealing with the extra terrestrial, bringing in concrete authentic experience lends the story credibility and intrigue. That comes through loud and clear in Quinn’s piece. Another that stood out for me was Nick Cole’s The Swimming Pool of the Universe is a tale of a soldier attempting to readjust to civilian life after helping defend Earth from a swarm of invading aliens. The stun grenades used by the aliens have the effect of continually sending him back in time, from his training, to the battles he endures while he tries to manage a department store. Those were the highlights from reading about half the stories. In the second half, I’m looking forward to reading Jason Gurley’s The Dark Age, which has been lauded as dark, sad and brilliant. So far I’ve found two new authors, who I’ve now interacted with and plan to buy more books from – and that’s only half the book. That’s the great part about indie authors – they tend to be accessible, willing to talk with others about their work and their process. 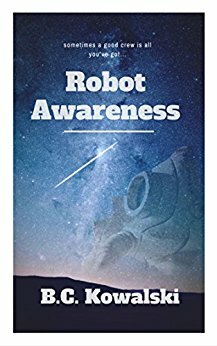 It’s something I’m working on in my own writing and promoting Robot Awareness. Previous Video: I talk about writing and indiepub at Doctor Who convention! Sold. Sounds like a great collection. Smashwords, Kobo availability when…? Not currently listed; will buy asap.